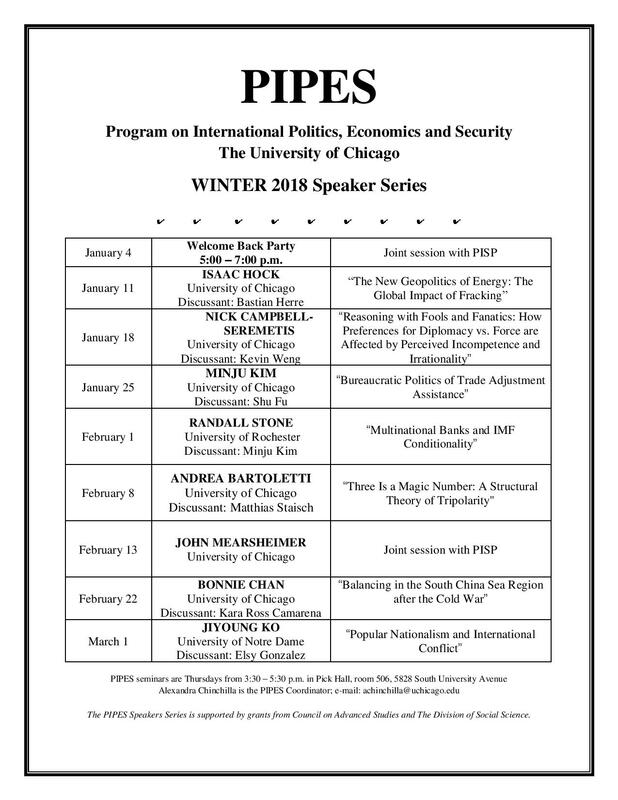 Featuring Elsy Gonzalez, Minju Kim, and Alex Trahan. 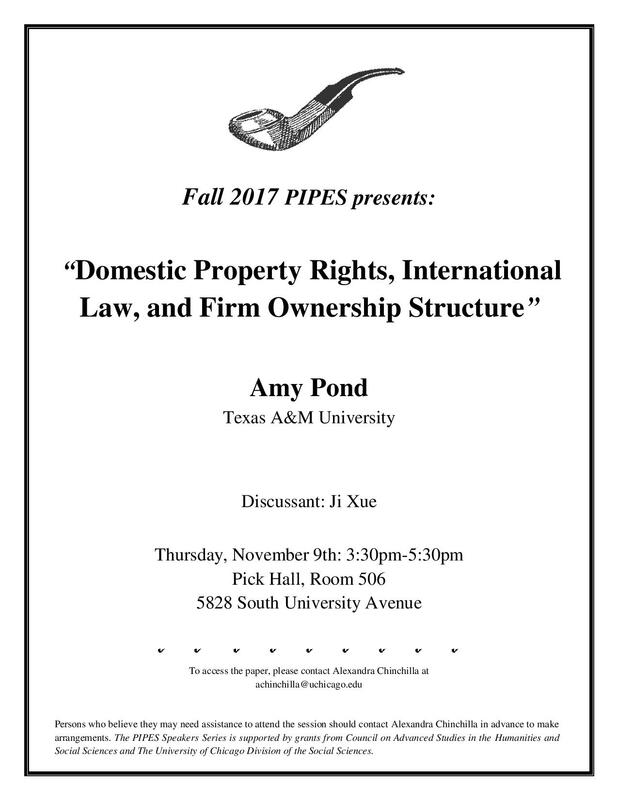 Join us for pizza and beverages following the presentations. 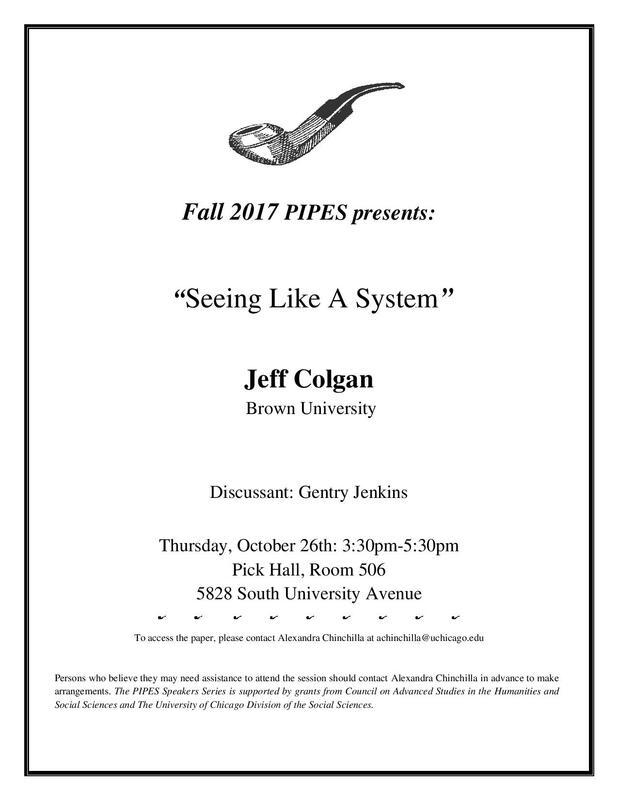 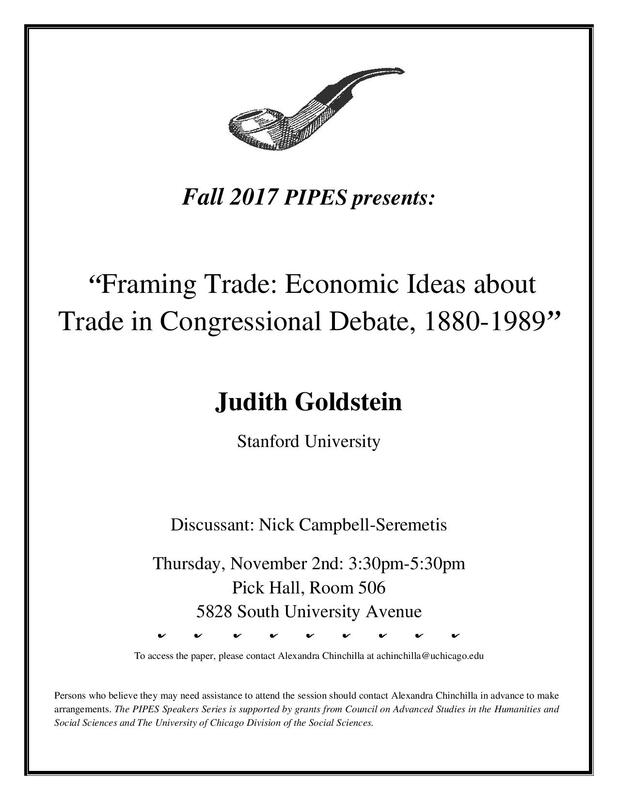 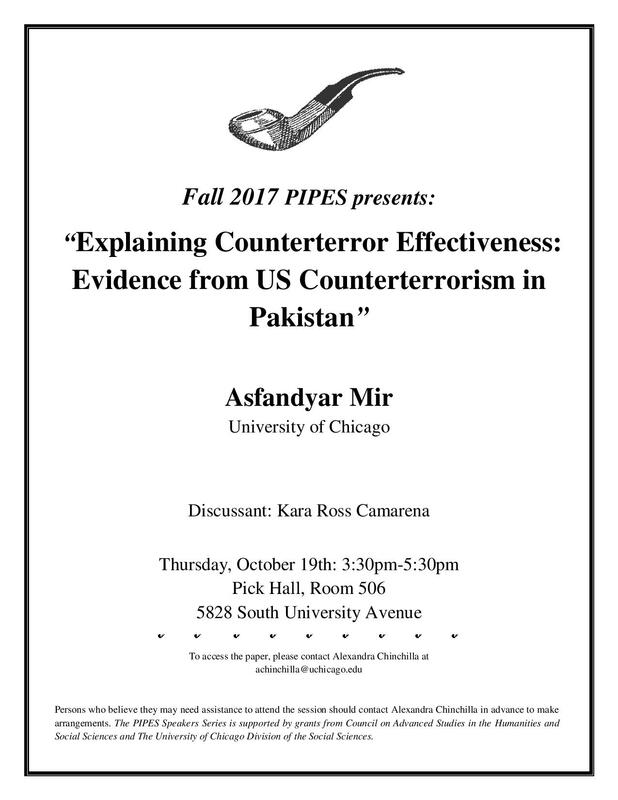 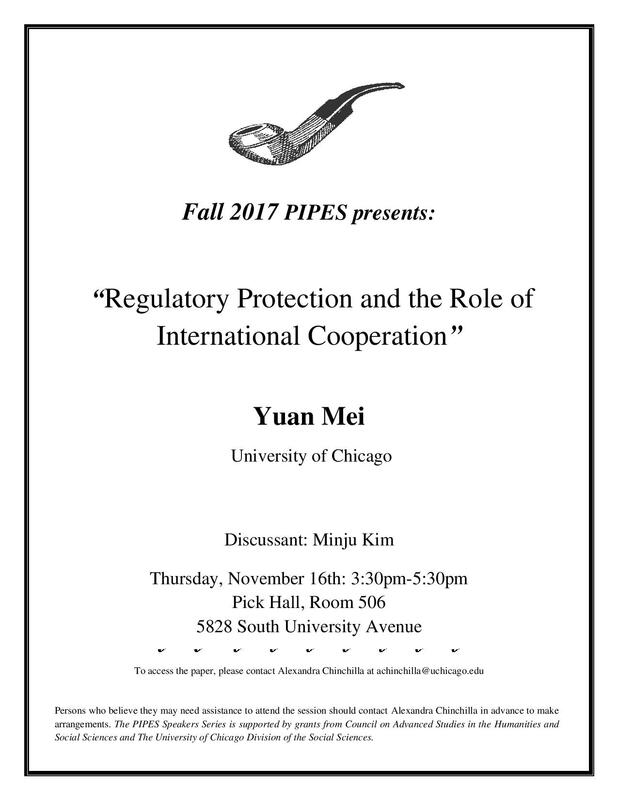 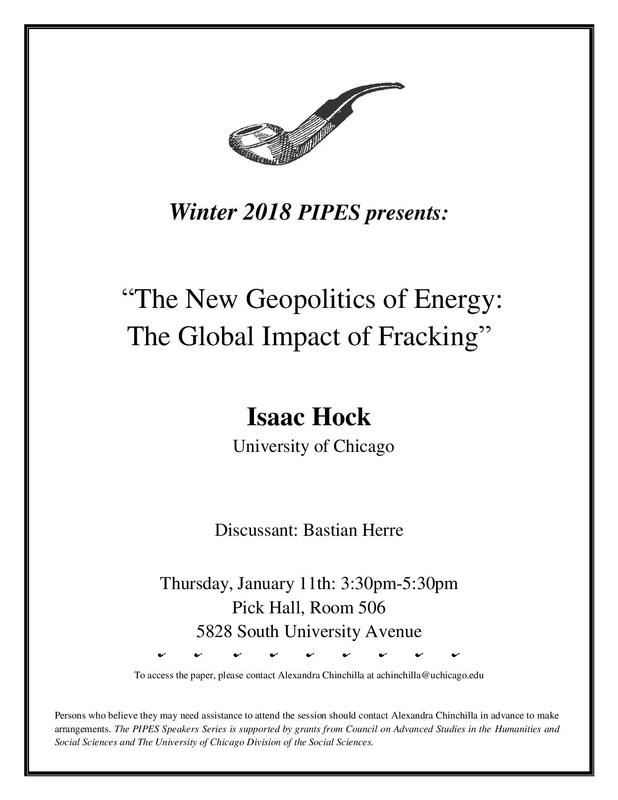 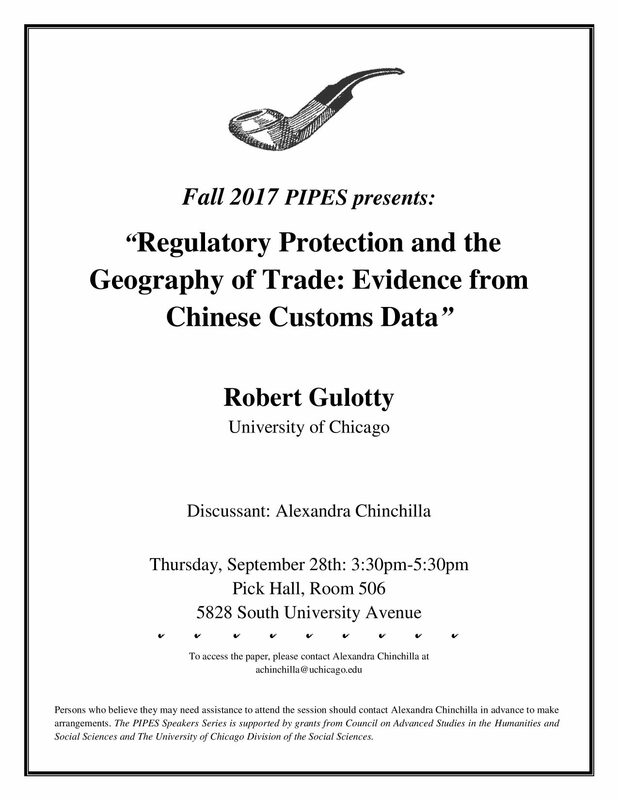 PIPES is a weekly seminar at the University of Chicago in which faculty and graduate students gather to discuss ongoing research in the field of international relations.